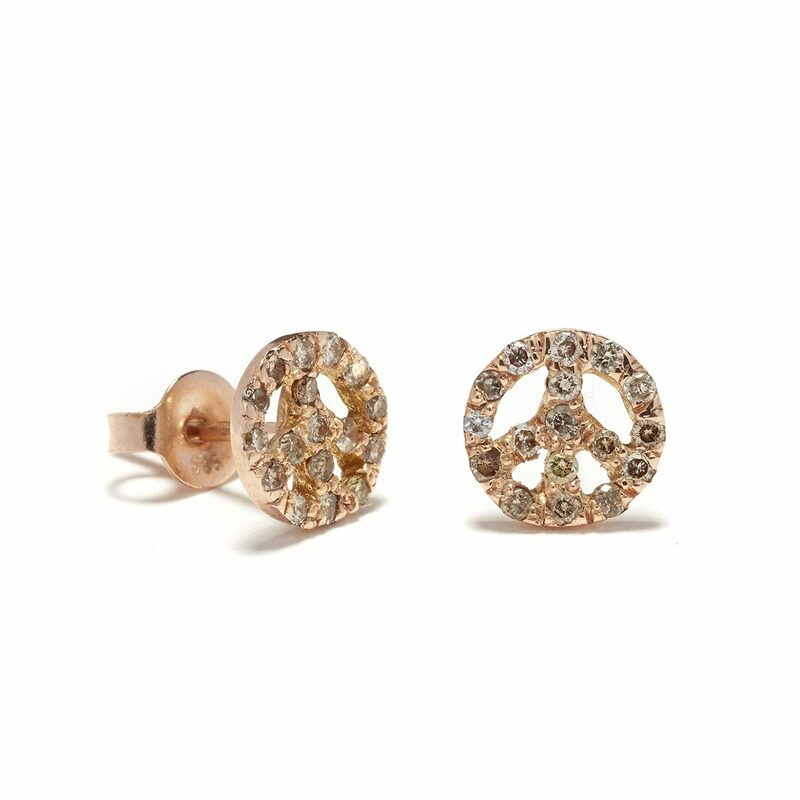 Classic bohemian 18 karat pink gold peace sign stud earrings set with brown diamonds. Each stud is set with 17 stones. Handcrafted by Elisa.